Geoffrey Hill, who died last Thursday, was a magnificent poet – and sometimes a difficult one. He produced lines that haunted you, perhaps because they contained so much questioning, as well as so much music. Crying the miracles of God. Reading that, you can feel the battering of the wind against your face. You can feel the mass of the sea sliding and beating against the land. And then you notice the questions too: is it ‘I’ who am ‘crying the miracles of God’? Or is it the ocean? It was years before I realised that this referred to the Tropic of Capricorn and longitude zero, an actual place (it’s a remote spot in the South Atlantic). But what magical lines! My favourite book was perhaps Tenebrae, and its sonnet sequence An Apology for the Revival of Christian Architecture in England. A sequence full of the most beautiful images: ‘Where wild-eyed poppies raddle tawny farms’ ‘horseflies siphon the green dung’; ‘the crocus armies of the dead/rise up…’ Hill combined a profoundly questing intellect with a wonderful gift for phrases and images; and yet he questioned and reflected on the meaning of every word he used. He used language so well because he didn’t trust it. When he heard I was writing a life of Charles Williams, a writer about whom he was enthusiastic whilst clearly also seeing his faults, he was immensely encouraging, but he didn’t stop at encouragement. He laboriously copied out – by hand – all of Williams’s annotations in a copy of Kierkegaard he owned, and sent them to me. He heralded the book in the opening words of his valedictory lecture as Professor of Poetry at Oxford; and when it came out he reviewed it in the TLS – a quirky, impartial review, whose opening words were ‘I welcome the appearance of this book though not unreservedly.’ – a sentence that made me laugh aloud, it was so characteristic. I met him two or three times. He was kind, genial, funny, and quite without self-importance. As great a man, I think, as he was a poet. Professor Sir Geoffrey Hill framed his valedictory lecture as Oxford Professor of Poetry earlier this month with a discussion of Charles Williams’s 1930 book, Poetry at Present – a fascinating choice because, to me at least, this is the weakest of Williams’s three critical books. 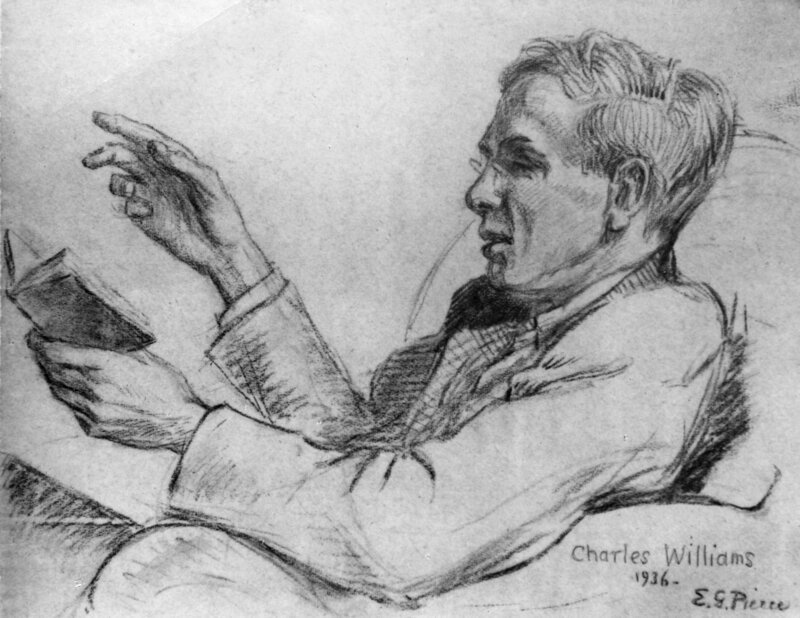 Nonetheless Hill managed to fasten on a brief passage about the nature of poetry which he then used as a standard for judging poems, and applied it to the work of Larkin, Edward Thomas and others. 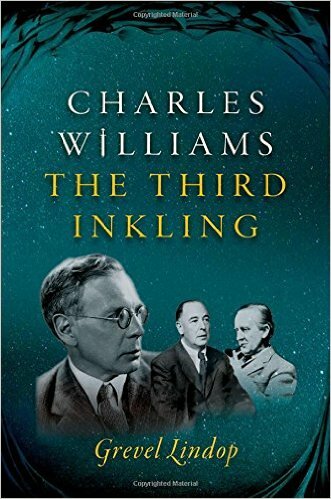 I was delighted – and not merely because he recognised Williams’s brilliant critical acumen, which has been overlooked for so long – but also because he raised doubts about the quality of several of Larkin’s poems, as I have done recently (though with reference to different Larkin poems) in the journal PN Review, in a discussion of James Booth’s recent biography. I’m sure Larkin is currently overrated, good though some of his poems are, and it’s encouraging to find Hill taking the same view. The lecture is well worth listening to: it winds around and you may think he is rambling, but in fact it all turns out to be very cogent, and his final point is impressive and even devastating. After coming back to Williams, and the perceptive quotation from which he began, Hill quotes the choreographer Mark Morris as saying ‘I’m not interested in self-expression but in expressiveness’. He’s absolutely right. If you’d like to listen to a podcast of the lecture, just click on this link (from the Oxford English Faculty page) here. I visited the Welsh poet R.S. 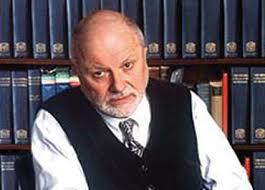 Thomas in 1997. The visit turned out very differently from what I had expected, and I wrote an account soon afterwards. Here it is again for those who missed it when it appeared in the magazine PN Review. August 1997 was an exceptionally hot month, and on one of its hottest afternoons I found myself following a faint footpath across rough sheep-pasture in the north-west corner of Anglesey, heading for Llanfairynghornwy. I was in a state of trepidation, and not at all sure I was doing the right thing. The sweat induced by a slow progress uphill, over the acres of long dry grass, through rusted iron gates and over stiles built into dilapidated grey stone walls, did nothing to raise my confidence as the horizon shimmered and the village came into view, straggling along the side of a low hill. I plodded on in a spirit of grim determination. For several years I had come with my family every summer to stay on a farm at Cemlyn, not far from Cemaes Bay. It was, in good weather, a quietly marvellous place. The sea was five minutes’ walk away. The roads were tiny and led only to other farms, or petered out by the shore, so cars were a rarity. A lighthouse, spectacular at sunset, blinked on the horizon in one direction; in the other, gently rolling fields stretched away to the skyline, dotted with sheep and the occasional house or ruined, enigmatic stone farm building. Seals groaned and hooted in chorus from the rocks, or lolled in the shallow offshore waters, occasionally lifting a round, doglike head to return one’s gaze, relaxed and supercilious. Children could be left to run wild over the fields or seashore whilst the adults did pretty much the same at a slower pace. And every year, at some point during our visit, the farmer in whose house we stayed would tell me, as if for the first time, that I should visit R. S. Thomas, who, he said, lived nearby. Thomas, he would continue, was seen occasionally at the local church – a tiny ancient stone building, dedicated to an obscure Celtic saint, overlooking the sea from a nearby headland. Thomas had even taken the service there on occasion. Every year I would consider the suggestion and decide against following it. Not that I was at all reluctant to meet Thomas. On the contrary, I’d admired his poetry since I’d first encountered it at school. The notion of meeting him face-to-face was an attractive one. But it was also daunting. I had heard that Thomas was reclusive, that he didn’t like the English, and that he resented them above all as holiday-makers in his country. I would embody, I thought, everything he most disliked. In any case there was no obvious way of testing the water. No one seemed to know his address, though they could describe the house, and his telephone number was (of course) ex-directory. I’m not sure what changed my mind. Partly, I suspect, the encouragement of my wife, generally braver about these things than I am myself. Also, perhaps, some intuitive sense that the years were passing, that the opportunity might not recur – followed (as in so many of life’s less comfortable situations) by the reflection that, at worst, the person concerned could only tell me to go to hell. And so I found myself at last in Llanfairynghornwy, turning right at the village church and taking the road over the brow of the hill. The house was easily recognisable: a large former farmhouse with a traditional Anglesey courtyard, the various buildings converted into separate dwellings. There was a view towards the sea, about a mile away, and a large garden, evidently well-watered since it showed no sign of desiccation. An open hatchback was parked in the courtyard and a white-haired woman was unloading bags of shopping. As I approached she turned towards me. It struck me that she was beautiful, and I was startled by the intensity of her pillar-box-red lipstick, a perfect match for the cardigan she wore despite the heat. There was now no turning back so I introduced myself and asked if R. S. Thomas lived here. I also presented my one small visiting card, in the form of a suggestion that Mr Thomas might remember an enthusiastic review of his Later Poems which I had once written for the T.L.S. It was, of course, the right house. The lady disappeared inside, and I could hear her calling ‘Ronald!’, followed by sounds of muted conversation. Then Ronald loomed at the door, instantly recognisable: craggy face, white hair, towering height. He wore a blue shirt and grey trousers (as with many elderly men, the trousers somehow seemed to extend a long way up) and a tie exactly the shade of deep red favoured by traditional Labour Party supporters. If he was inwardly cursing my intrusion, he gave no sign of it. His welcome was subdued but unambiguous, and he asked me to come in. I had expected a Welsh accent, but he spoke with an almost exaggeratedly perfect English enunciation recalling BBC radio broadcasts from the 1940s and ’50s. The old phrase ‘cut glass’ floated into my head. I followed him along a passage (his walk a little shaky, a little shuffling, but his bearing very erect) into a cool, attractive sitting-room with stone walls, hefty exposed wooden beams, large windows and antique furniture, including some sofas covered with a sumptuous, satiny Chinese print fabric – Sanderson or the like. There were a great many books, and half of one wall was taken up entirely with the brown spines of something (periodical or vast reference work?) called British Birds. Since I was then working with Kathleen Raine on Temenos Academy Review I asked Thomas if he knew her. Not really, he said. He’d met her at Vernon Watkins’s memorial service. He didn’t greatly like her poems, though there were ‘a few good ones’. He had included four of them in his Penguin Book of Religious Verse. He had heard her speak on some occasions, and been mildly amused at her self-esteem; he claimed to have heard her refer to herself as ‘the world’s leading Blake scholar’. Betty had a good deal to say on the associated subject of Gavin Maxwell, author of Ring of Bright Water, for whom Kathleen Raine had cherished an unrequited passion (chronicled in The Lion’s Mouth, the third volume of her Autobiographies). Betty had, it seemed, lived with her first husband next door to Maxwell, and had had to look after ‘the blessed otters’ when he was away. They had been a huge handful. ‘And,’ she said, ‘don’t believe half of what Gavin said about them in his books.’ I asked whether she had been bitten (otters are ferocious biters, and the broadcaster Terry Nutkins, a former Maxwell protégé, lacks a finger to prove it). ‘No,’ said Betty, ‘but then my husband was a hunting man and he wasn’t going to stand any nonsense from a couple of otters.’ That seemed to settle it. Betty said that even now and despite his lack of gimmicks, teenagers in Thomas’s audiences seemed enthralled by him. ‘You do have to rehearse to go on the reading circuit,’ said Thomas. ‘Ronald’s training for the ministry has probably helped there,’ added Betty. As for Robert Graves, Thomas thought him ‘a good poet and a good influence’. John Crowe Ransome, also a good poet, ‘came entirely from his [Graves’s] work.’ Graves had written too much, Thomas thought, but considering the period when he had lived, yes, he had done well. (I was unable to get elucidation of this tantalising remark about the ‘period’.) Asked what he thought of The White Goddess, Thomas said he’d never read it. ‘More Kathleen Raine’s department than mine,’ he added, whereupon Betty hazarded the suggestion that perhaps Kathleen Raine had been one of Graves’s ‘mistresses’. Ronald rejected this idea firmly. ‘I don’t think so. No, Kathleen Raine was a bluestocking; and Graves, like Yeats, preferred them…’ The sentence was left unfinished, but its drift was clear enough. It was getting towards evening so I left soon afterwards, with invitations from the Thomases to visit again. I never did, though we exchanged one or two letters and Thomas sent a good poem for Temenos Academy Review (where, through no fault of mine, it failed to appear). 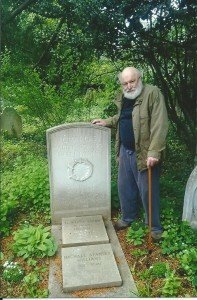 Within a few months the Thomases left Anglesey for another part of Wales, and some two years after that R. S. Thomas died. To me, that afternoon at Llanfairynghornwy is still a bright and happy spot in memory, and I remain deeply grateful to the poet and his remarkable companion. Nothing of great significance, perhaps, was said or done. Still, an encounter between a famously ‘cantankerous’ Welsh Nationalist poet and a holidaying Englishman arriving unannounced on his doorstep might have been expected to turn out rather differently. 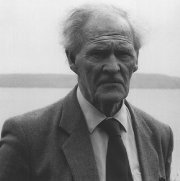 Since his death, R. S. Thomas’s reputation as a poet has shown no sign of sagging, nor do I believe that it will. His integrity and independence have never been doubted. But it seems worthwhile putting on record that his virtues also included generosity, hospitality, wit, and the baking of excellent cakes.